2. Leaders inspire a shared vision (continued). a. Identify their constituents. 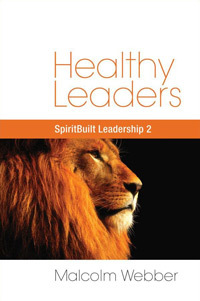 Leaders must first identify all those who have a stake in the outcome of what they envision. This will include all the members of their organization as well as suppliers, customers, and members of the community. Broad visions need broad support to be accomplished. b. Appeal to a common purpose. No matter how grand the vision is, if people don’t see in it the possibility of realizing their own hopes and dreams, they won’t follow. By knowing their constituents, leaders are able to fuse them together around a common purpose. c. Listen first – and often. Listening is one of the key characteristics of exemplary leaders. By taking time to listen, leaders can hear what their constituents want included in the vision, and thus build a truly shared destiny. d. Breathe life into the vision. By using vivid metaphors, stories, symbols and slogans, and by communicating with fire and enthusiasm, leaders make their intangible vision come alive so that others can see it, hear it, taste it and touch it. e. Speak positively. There is no room for tentativeness in a vision statement. The obstacles and difficulties should be addressed, but not dwelled on. Leaders must express to their followers that, together, they are well able to succeed and to “take the land”! f. Speak from the heart. The greatest inhibitor to enlisting others in a common vision is a lack of personal conviction. Others will never share a dream if the leader is not fully convinced of it himself. Leaders must genuinely believe in their own dream; then the vision will live and compel. The next Letter will examine how leaders foster collaboration and create unity of effort among those who have embraced the vision.